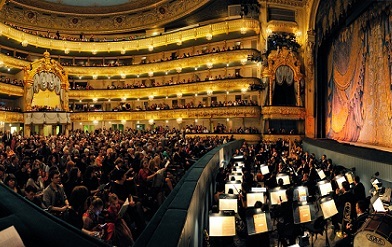 A grand cultural event will take place in the Mariinsky Theatre, St Petersburg - Artistic Director Valery Gergiev, from May 26th until July 24th. The festival programme will include many famous operas, ballets, and performances by world famous singers, dancers, musicians, composers and conductors. There will be over 160 performances and concerts. Saint Saens' Samson and Delilah directed by Yiannis Kokkos. Prokofiev's Romeo and Juliet - a ballet in three acts. Moses Weinberg's opera The Idiot. Prokofiev's Peter and the Wolf. Verdi's Requiem conducted by James Conlon featuring Olga Borodina and Ferruccio Furlanetto. Leonid Klinichev's opera The Cossacks - world premiere and many, many more wonderful performances, too numerous to mention. Prior to the beginning of the XX1V Stars of the White Nights festival, on the 23rd May, at the Mariinsky 11, the Mariinsky Orchestra, under the baton of Valery Gergiev will perform Verdi's Requiem; a powerful work of vigorous rhythm, heavenly melodies and dramatic contrasts. 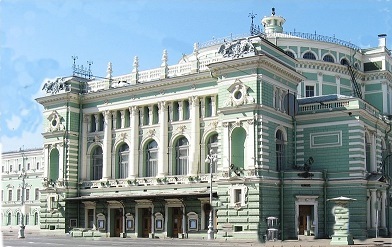 The programme on the first day will include works by Prokofiev and Beethoven, a performance of Romeo and Juliet, an organ recital by the French organist Thierry Escaich and performances by Diana Vishneva (principal ballerina at the Mariinsky) and the Austrian classical pianist Rudolf Buchbinder. The Festival Chamber Orchestra of the Russian German Music Academy. The Armenian National Philharmonic Orchestra. On the final evening, July 24th, there will be the world premiere of The Cossacks, a contemporary work by Leonid Klinicheva, especially written for the Academy of Young Singers of the Mariinsky Theatre, under the direction of Larissa Gergiev. This festival is a 'must go to' for ballet, opera and classical music enthusiasts. The festival takes its name from the short summer season when the sun never sets. The magic of St Peterburg White Nights conjures up a special atmosphere as people come out of the theatre at midnight into daylight in this glorious city.